Everyone who is current and up to date in the home service industry knows that things are changing rapidly. A widespread digital drive is transforming the way business is being handled by plumbers, exterminators, electricians, locksmiths, and others alike. Service Businesses are now shifting from the highly monotonous and time-consuming system of managing various aspects of their business manually and are fast embracing the more efficient and interesting software based process which automates the daily running of their company. Electricians are also onboard with this new trend and the smart ones are quick to identify the huge potentials in upgrading their business by automating how things work both in the workplace and on the field. When looking to grow and automate, look no further than FieldSurf, the best electrician software in the industry. While various software is available in this age and time to handle various aspects of business for the electrician, one software combines all these aspects and puts them all on a single, simple easy to use interface, connecting all the facets of running a successful electrical maintenance company; that is FieldSurf’s best electrician software. Fieldsurf is the electrician software that is changing the face of the industry forever, transforming the business from every angle and side and turning things around in ways many people never thought was possible. To run a successful electrical company, you need to be more than just an effective electrician. For example, no matter how effective you and your technical team might be, certain unforeseen circumstances can occur that reduces your ability to perform up to par on every job. When a new order comes in for example: if your dispatch staff is unable to reach a team of electricians in the field immediately and has to wait for them to return before dispatching them to where their services are required, the lag in time is putting your business at risk and you are inadvertently losing money one way or the other. Even if your dispatch staff is able to reach a team on time through the regular means, orders get mixed up, and you fail to arrive at a high priority job where time is of the essence. Asides the effect this mix-up will have on the client’s perception of your company, you will be losing ground as well as time and of course money. At the same time, you are putting your staff through unnecessary stress. Stress which can be avoided with just the right tool in place. As an electrician, you need to handle your scheduling and dispatching with FieldSurf. Let’s begin with the dispatching example we mentioned earlier. Fieldsurf has made dispatching and scheduling easy for electricians everywhere. 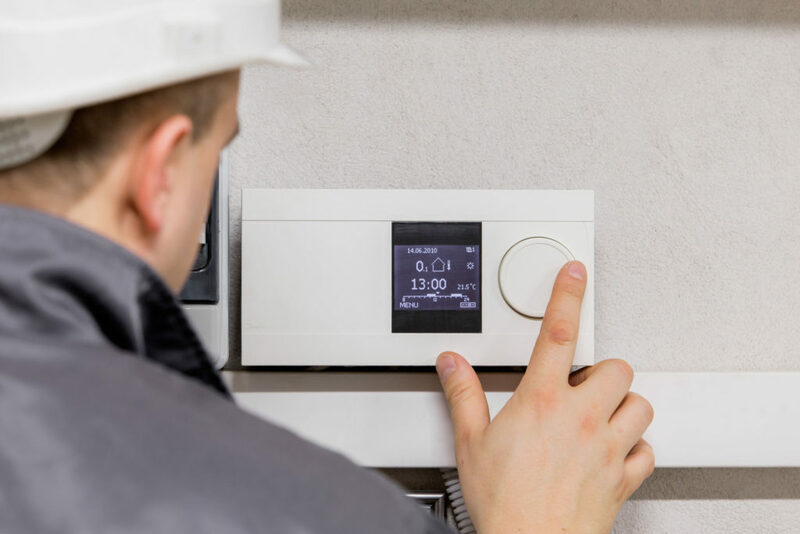 First, as an electrical maintenance and installation company, there are clients who are regular users of your company and call you in for routine maintenance. With FieldSurf you place them on a fixed schedule so that nothing tampers with their schedule. Your dispatcher using the FieldSurf calendar will be able to organize the schedule to accommodate old customers and receive new orders without clashes between both. Aside from keeping a clean and organized calendar, Fieldsurf’s software has also transformed the way dispatching is run in the electrical service industry. Geofencing allows you set up a virtual radius which your business covers within an area. And locate each of your technical staff in the field within this radius. This way, your dispatch staff is always aware of where each of your electricians are, what they are doing, and when they are free enough to take on a new task. So when a new call order comes in a team A, B and C are in the field in three different places. If the Team A and B are both within close proximity to the new order and team A is just about rounding up with their current task, while Team B is just setting up, your dispatch staff does not make the mistake of assigning the job to team B. using the real-time SMS function on FieldSurf, your dispatch staff will send a message to Team A detailing the location of the new order and every other detail necessary. This new feature is leaving clients surprised at how fast companies that use FieldSurf show up at their homes and offices. This is just one example of what makes us the best electrician software on the market. FieldSurf does this while keeping a record of every information sent out for reference purposes. This way, future issues cannot arise between technical staff and dispatch staff or between your company and your client. But this is just the tip of the iceberg there are a lot of other ways FieldSurf is revolutionizing business for electricians. How were you keeping track of your electricians on the field? Do you know when they arrive and when they leave, the status of every job and when they complete any task? How do you keep tabs on your office staff? Do your staff still fill clock books manually? To the electrician that is keeping up with trends, you will find is the answer to this question very straightforward. He is aware of where every member of his team is and what they are doing. He knows who is at work and who is in the office, and when each technical staff arrives at a site or leaves. He knows every detail and uses FieldSurf as the clock book for all his staff. This is not the only aspect of your electrical servicing business that FieldSurf gives you complete control over. How do you access your company accounting, finance, and business reports? If you still wait for days for your accounting staff to go through tons of paperwork the get back to you on how your company is performing financially then you are not keeping up with trends at all. With FieldSurf, all reports concerning your company are made available to you on the go. No more time wasting paperwork, no more delays, and definitely less stress for you, your accounting team, and your electricians. days of waiting and the accuracy of such information is even debatable but a business that runs on FieldSurf has all these reports in the palms of your hand when and where you need it. With capabilities like this, you can look back at your business and plan far ahead into the future. Another piece of information and reporting which electricians need is inventory management. In the midst of all the running around to attend to customers, it is possible that you lose track of what items you have available in your store and what is running low in stock. Every item you buy is entered into FieldSurf and every item taken out of the store is entered into the software. This way, FieldSurf helps you keep track of your inventory and gives you access to it anytime you want to check it out. Do you run into problems in the past when your staff fails to inform you that an item is running low or has finished in stock? With FieldSurf this can never happen. FieldSurf notifies you of every item that is running low at all times so that you can replenish before it you’re out of the necessary electrical equipment. FieldSurf is also transforming the way customers pay your bills. How do you notify your customers of their bill? How fast do you prepare an invoice and send it to them? For most electrical companies, even the fastest of them, this may take days or even up to a week and the probability of errors and cases where you forget to send invoice may even occur in some cases. But with FieldSurf, the entire process of preparing and sending invoice is automated with the electronic invoice function. The invoice is prepared right at the same time an order comes in and is sent to the customer’s email once the job is completed. No lag time or the possibility of error. Your client simply needs to sign on your electrician’s smartphone or tablet when the job is done and the invoice is mailed instantly. FieldSurf’s best electrician software also enables your business to take the process of receiving payments digital by making it easy to process payments on the field. Smart electricians give the task of sales to their field technicians without affecting their field efficiency. All your field technician needs to process customer payments is the client’s credit card which he swipes on his FieldSurf enabled software or by simply collecting card details from the customer. Payment is processed instantly, no stress or bother for you or your customer. Even your staff will feel the change when you bring FieldSurf on board to automate your business. Asides making life a lot easier through easier dissemination and access to information, FieldSurf also makes the process of preparing your staff payroll totally easy. In the past handling payroll was every business owner and accounting department’s worst nightmare. You have tons of paperwork to handle at the end of every pay period. But with FieldSurf, you can positively say goodbye to the difficult process of calculating your worker’s pay. FieldSurf automatically prepares the payroll for your entire staff no matter how large or small and gives you access to this payroll even before the end of a payment period. You can access each individual’s pay calculated based on numbers of hours worked together with all the bonuses accrued within a payment period. All the stress that used to be associated with preparing payroll is eliminated and your workers can get their pay quick and easier than ever before. As an electrical repair and installation business owner, no other electrician software gives you the kind of control over your business that FieldSurf does. It simply organizes all the seemingly complex aspect of running a successful business which used to be a headache in the past and delivers them into a single dashboard accessible to you on a desktop computer or even a smartphone. Before, it used too many of software handling a series of complex processes on their own and you still have to struggle to make sense and keep track of it all. In fact, organizing your business this way is even more complex than doing it with FieldSurf. Now with FieldSurf, you need not worry about making sense of it all or keeping track of everything. This truly is the best electrician software on the market today. If you add all these factors together with the fact that FieldSurf software is quite affordable and completely easy to use, you will find the web-based electrician software, just the perfect tool you need for your electrical repairs and maintenance company. It is easy to understand and use. You and your employees will find it very easy to use with just basic computer knowledge. No complex programming skill required. Just simply drag and drop and your business is organized just the way you want it. They will also find it very much helpful, you dispatch staff, accounting staff, as well as field technicians, will find that the software makes important aspects of their duties easier than ever putting even the tiniest of details into consideration and put all of these together. Effective electricians are not just those who know how to fix faults and make quick repairs but those who know just the tools to use to make things work better. If you think your business is lagging behind, give FieldSurf a try to turn things around and even if you think your company is doing fine already, FieldSurf will make it even better. With all the extra control you are getting, it’s virtually impossible not to move your business well past where it is. So if you are looking to grow, automate, and streamline, schedule your free demo of the best electrician software out there.